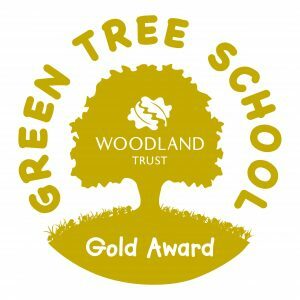 Ghyll Royd School and Pre-School has been awarded a Gold Award by the National Woodland Trust. 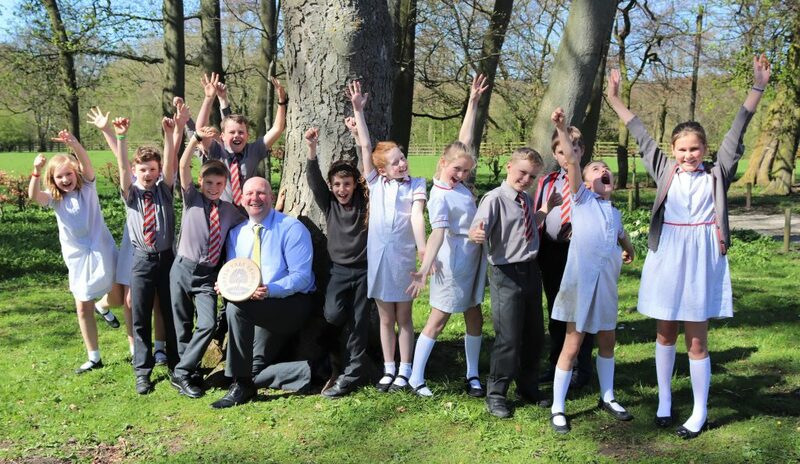 The Ilkley Primary School has been awarded for its consistent involvement in green activities including tree planting, visiting local woodland, reducing carbon emissions through recycling as an Eco School and offering children the opportunity to bring the great outdoors, wildlife and green issues into the classroom. 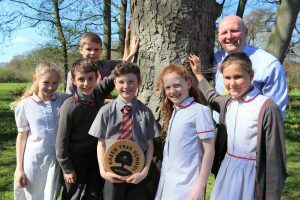 Ghyll Royd School and Pre-School has so far planted 450 new trees in their school grounds as part of the World War I Centenary commemorations and joined in with various Woodland Trust activities. Pupils welcomed their local Woodland Trust Schools Advisor Mel Frances to join them for a day of outdoor fun as they worked towards the Gold award. Children in Forms 1 and 2 decorated a tree; Forms 3 and 4 got muddy and messy as they created Tree Champions to protect the woodland and Forms 5 and 6 became birds, bugs and bunny rabbits to take pictures from different animal viewpoints. The Woodland Trust’s vision is a UK rich in woods and trees, enjoyed by everyone. The charity is dedicated to creating new woodland with help from communities and schools and protecting and restoring ancient woodland for future generations to cherish.